Dubai, UAE, October 25, 2018: UAE Team Emirates has announced one of the biggest signings of the cycling season, after attracting Colombian Sprinter Fernando Gaviria with a three-year deal. The 24-year-old will be unveiled by the team at their UAE training camp between 26th – 29th October. 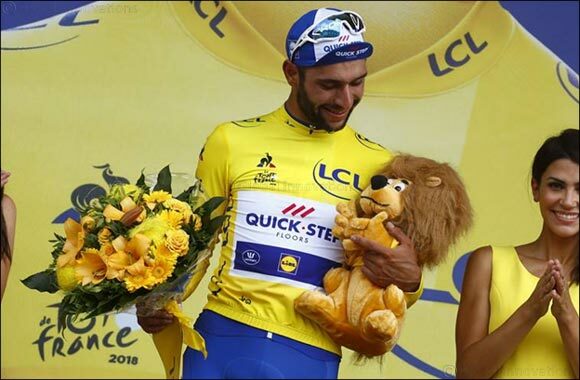 Gaviria, who became professional in the second part of the 2015 season, has had a meteoric rise up the cycling ranks, winning 34 times in his short career, including three stages at the 2018 Tour de France and four stages and the 2017 Giro d’Italia – where he also took home the points jersey – adding to his victory in the 2016 Paris - Tours. The addition of Gaviria takes the total number of Colombian riders turning out in UAE Team Emirates colours to three, after the recent additions of Sergio Henao, Christian Muñoz and Juan Molano.